I’m taking my Beyond books on one last in-person promo for this year and then taking a break until into the New Year. Will still be doing social media. It’s just that I don’t like going out and about much in winter weather. And there is a high risk of having to cancel ane event or going to it because of a blizzard, sub-zero temperatures or some other awful winter stuff. I am not a fan of winter – in fact if it would disappear permanently into a black hole I would be the first to cheer. And I need the time to continue writing my new Beyond mystery novel, which despite all the house issues, sagas and other problems being shoved at me, I am actually back to working on that novel. So, I’ll put some brief details of the last of the 2018 Beyond events. But first I want to mention some of the unique ways I get these promos. I have to be thankful that many come to me from outside and I am grateful for them. There is my Crime Beat Confidential Show that I host bi-monthly on thatchannel.com. The station’s show producer approached me – probably because i had made some appearances as a guest on their Liquid Lunch Show. I get a lot of fun, learning and meeting interesting people who guest on my show. My book character PI Dana Bowman appears at the beginning of each show. And in the one just taped this week, she does the second half of the show interviewing the guest – a private investigator. The show is not taped live and some editing is done, so when it’s up I’ll post the link. Meantime you can watch the other two on thatchannel. com under “Shows” or Google “Crime Beat Confidential and Youtube” and see it posted by the station on Youtube. As a member of Crime Writers of Canada, Sisters in Crime, and the Toronto Heliconian Club, I get a chance to take part in their author readings, book signings at bookstores, libraries, conventions, writers festivals, artistic shows and sales. They send out emails on this looking for us author members to participate and we have to get back. Now, for some there is a limit of how many participants, but I have been lucky to get in on those – even some out of town. And there it is other members participating in the same event who give me a lift there – sometimes we have a car load of authors heading ouit of town and it is so much fun. Those are just some examples. My point, beside being grateful, is authors – whether self-published or published by a trade publisher, can benefit by joining an organization that has some literature and/or writer component to help promote their books. And it’s not all one-sided as by participating you sometimes get the chance to organize the event. And you meet interesting authors and readers. And sell some books. Don’t be all social media and no in-person promo. Sometimes readers like to see the real person and not just see what thay look like, but how they act, how theiy interact,,how they come across in their knowledge about writing, and in my case, just dressing up like my main character and letting her take over. And on that note, I’ll just list the last two events for 2018 and hope those in the Greater Toronto area in Ontario, Canada can make one of these events. Saturday, Nov. 24, 11 am to 4 pm. All my Beyond books – Beyond the Tripping Point, Beyond Blood and Beyond Faith will be on display and for sale at the annual Club show and sale “Gifts from the Muses” which will take place on Saturday, Nov. 24. There will also be a wall of paintings and photographs, all selling for $100 or less. In addition, members from all sections will sell hand-made products such as unframed art works, cards, books, CDs, jewelry, jams, baked goods, etc. Along with the sale, members of the Music Section will entertain with short musical interludes each hour. This is one of the best multi-disciplinary events in the Club and is so much fun to attend! It is a great opportunity to purchase outstanding gifts for family and friends! 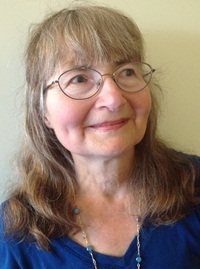 Sharon A. Crawford will read excerpts from her Beyond Mystery series novels: Beyond Blood and the latest, Beyond Faith. She is joined by two other Heliconian Club Literature group authors: Ann Elizabeth Carson and Isabel Berchem for this Evening of Readings. Hosted by Christine Arthurs. Refreshments and a cash bar. Cost: Free for Heliconian Club members and $10. for all others. It has been awhile since I have had time to actually work on my fourth Beyond mystery book.Earlier this year I got a good start and then as they say “life happens.” A lot of that life this year for me is a lot of problems coming my way – the annoying part being that 90% are caused by other people and/or organizations. Heck, I can create enough chaos without any input from others, But they provide lots of fodder for future short stories and maybe even for my new mystery novel. But not all the distractions were bad. I an still a writing instructor and editor so there was work there. And I also write memoir and that’s where the bulk of my creative writing has been taking place. The results are a short memoir piece about dealing with my father’s death from cancer when I was 16 which is to be published in an online university journal, to just about finishing the final rewrite of the full book-length memoir – at least until any interested publisher gets at it and edits it..But I like rewriting. And of course, book promo for Beyond Faith – and that continues. Some via social media, some in person and some with my new TV show Crime Beat Confidential on thatchannel.com, Episode three coming up soon. But you can catch the first two either at thatchannel.com under “Shows” or by Googling “Crime Beat Confidential and Youtube” as thatchannel.com uploads all their shows on Youtube. But this week I spent an afternoon back at Beyond Truth. Did some more plot and character development.I had forgotten how a writer can be so absorbed in creating a novel, a short story, etc. that the rest of the world can go to hell and you just don’t care. My world was the world of Beyond Truth and its characters and plot. And I still like the beginning Prologue I wrote earlier this year. It was good to see I can still develop twisted plots – now I have to write them. I always do so with the premise that none of it is sealed in granite. If it doesn’t work out I can come up with something else. Or my main book character Private Investigator Dana Bowman can. And that woman sometimes gives me grief. She thinks she wrote Beyond Faith so I think for Beyond Truth she and I will have to collaborate or there will be no peace. But I’m getting the byline on the book. To do all this, I have to write more often. To do this I have to get rid of some distractions and prioritize others. For one thing I’m back to setting a timer for when I do daily email (and finally finished in the time allotted today). And I am pickier about what I reply to and when. I am deleting more. I am saying “no” to more requests for stealing my time and not just those coming in via email.. Now that winter is here, I hope to spend more time indoors as I’m not a winter sport or any winter activity fan, although I do walk in winter. I will also attend less events when the weather is terrible. As for those problems that won’t go away. I try to pick one to deal with each day. So, as of next week, I plan to spend more than just one half day a week working on Beyond Truth and will more than pencil it in to my calendar.. I have to. My police consultant stopped me at a mutual author’s book launch last month and asked me why I haven’t emailed him with more research questions. He may get inundated shortly. How do you find time to write your novel, short stories or whatever you write? Comments, please. I can learn from others’ experiences. Authors brandishing swords, pointing guns, rushing with knives? Not quite. All this murder and mayhem we may create is between the covers of our books. Of course, our lips are not sealed about what goes on between the book covers with our characters and in our plots and in our minds. We will be glad to share. And Chapters Newmarket will have copies of or books should you wish to buy. And we will sign copies of our books – but not in blood – with pen and ink. The 35th Anniversary celebration of the Crime Writers of Canada continues to be at hit at Chapters Newmarket, this time on October 27, 2018. Join CWC authors Tracy L. Ward, Nanci M. Pattenden, Sharon Crawford, K.J. Howe, Lorna Poplak, and John Worsley Simpson at the Newmarket Chapters for a day of crime. These are my two Beyond mystery novels that will be at Chapters Newmarket. The third Beyond mystery book (2017) second novel. An author’s book promo never ends. But that is a good thing. Besides the obvious, a chance to sell copies of our books, it is also a chance to do a number of interesting things and meet some of our readers. Is there murder in literary fiction and character depth in mystery fiction? Join Michael Robert Dyet, author of the literary short story collection “Hunting Muskie: Rites of Passage” and Sharon A. Crawford, author of the mystery novel “Beyond Faith” for a lively discussion, rapid-fire questions, readings, audience participation, skit with story characters. Books available to see and sell. Date and Time: Tuesday, October 23, 2018, 7 p.m. to 8 p.m.
Hope some of. you can make it. As for that second event this week, stay tuned to my Thursday posting on this blog. Creative Nonfiction intersecting with memoir and fiction? I’m teaching a new writing workshop called Memoir as Creative Nonfiction. Although both are nonfiction and therefore must be truthful or as Lee Gutkind’s book stays You Can’t Make this Stuff Up. But you can use fiction techniques (emphasis on “techniques”) to tell your true story. Mr. Gutkind should know – he has been dubbed the Godfather of Creative Nonfiction. As this blog primarily focuses on fiction writing, I’m going to give a brief look at this technique. My parents were born in Germany in World War 11 – my father in 1936 and my mother in 1937. My mother was Jewish and along with her parents and two siblings, was sent to a concentration camp in Poland in 1943. Her older brother didn’t survive. At the end of the war the Allies freed her parents from the concentration camp. Because of their ordeal, they decided to emigrate to Canada. Boring!. Methinks the author is hiding her parents story behind her journalism. It doesn’t even make an interesting magazine story. How did her parents, particularly her mother, feel about living during World War 11 in Germany? What was their life like – in the eyes of a young child? How did she feel about losing a brother in such horrific circumstances? (research can be used to back up fact – for example dates, location.) So many questions that can be answered by writing like it was fiction, i.e., use dialogue, suspense, literary techniques like metaphor and simile and make her mother and father appear real – e.g. how did they feel? The writer has talked to her parents for goodness sake. As this is someone else’s story, I’m not going to rewrite it for you. But I’ll give a brief example from my memoir in the works and true stories based on it. Here’s one which is somewhat self-explanatory. And here’s the beginning of my recounting of a disturbing incident in the middle of the night. I was eight at the time. One late night, loud pounding on the front door wakes Mom, Dad and me. Like the servant heeding the master, we all trip out to the front entrance. Mother turns on the veranda light and yanks the door open. “Do you know this man?” A police officer stands on our veranda. His right hand supports the shoulder of a dishevelled man. “Uh, home,” the man says. The stench of his breath assaults my nostrils and I jump back behind Mom, then peek out. The man’s oily black hair lies flat. Night shadow and red blotches compete for attention on his face. He is bare from his neck to his dark trousers. Looking closer, I see blood dribbling down from a deep slice on his left cheek onto his chest. His eyes look bloodshot and vague. A black mass is stamped above his left eye. You can see some of the fiction techniques used – dialogue, the characters and some of what they were like – real people, my inner thoughts and feelings, and use of the senses such as hearing (both dialogue and the pounding on the door) and lots of visual. So it’s not fiction. It is memoir. Is it also creative nonfiction? My workshop will reveal all – at least as much as can be done in one and a half hours including discussion with participants and a short writing exercise. Here are the details for the workshop. Can memoir be creative non-fiction? In this workshop, author and editor Sharon A. Crawford will explore the many forms of Creative Non-fiction and Memoir and how they can intersect. Excerpts from published works will be used to start a discussion. Through writing exercises, participants will get the chance to begin their own creative non-fiction memoir and get a quick critique. Free. Date and Time: Tuesday, October 16, 2018, 2 p.m. to 3.30 p.m.
And here’s a photo of my late Mom and Dad, who did not emigrate to Canada, but our ancestors did in the 1800s. author of the Beyond Mystery series and also memoir. The latest Beyond mystery. (2017). But before I talk about being there, first a word about Word on the Street (WOTS). It’s an outdoor festival for books and magazines and much more that is related – panels of authors, author readings, author presentations, publishers, agents, magazine editors, writing organizations, children’s area, etc. It is for readers and writers – and often that’s the same person. It is a great place to meet other writers and readers. It is a great family outing as well as great for individuals. It runs this Sunday, September 23, from 10 a.m. to 5 p.m.
And at this point, the weather is supposed to be cool and sunny. Before that I’ll be checking out a few other booths. As for Private Investigator Dana Bowman from the Beyond books – she thinks she will be running around there, but we’ll see about that.